Take extra security measures for your home or business with the purchase of a safe. 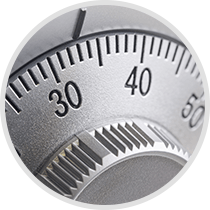 Protect your valuables by investing in a safe with Bedford Lock & Key, and rely on our professionals to assist you with your safe questions and needs. Before you begin to Google, “locksmiths near me” just call us at Bedford Lock & Key to ensure the most professional services around. With 40 years of experience, we’re ready to help you find, install, and teach you about a safe that fits your needs and budget.